Tamiya tanks are the best tanks available at the market. ★This is a 1/16 scale R/C model assembly kit. 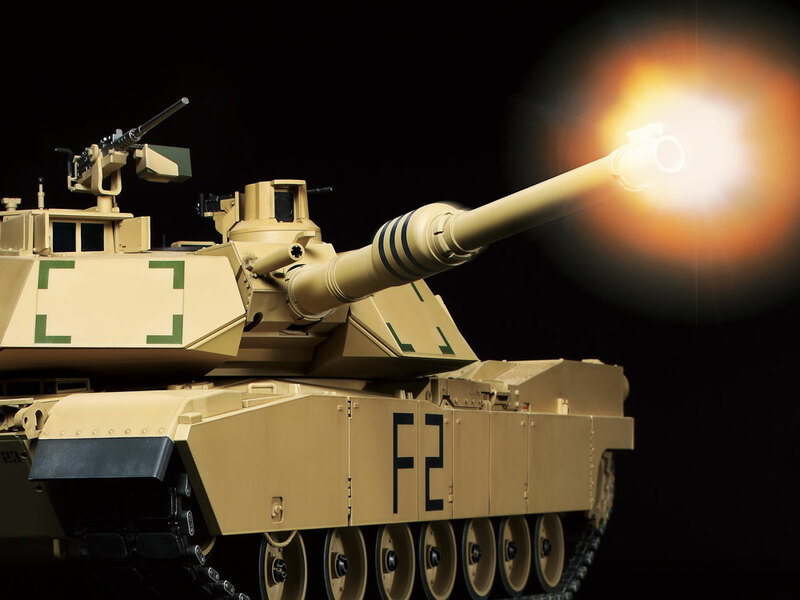 ★The distinctive form of the M1A2 Abrams is captured with great accuracy. 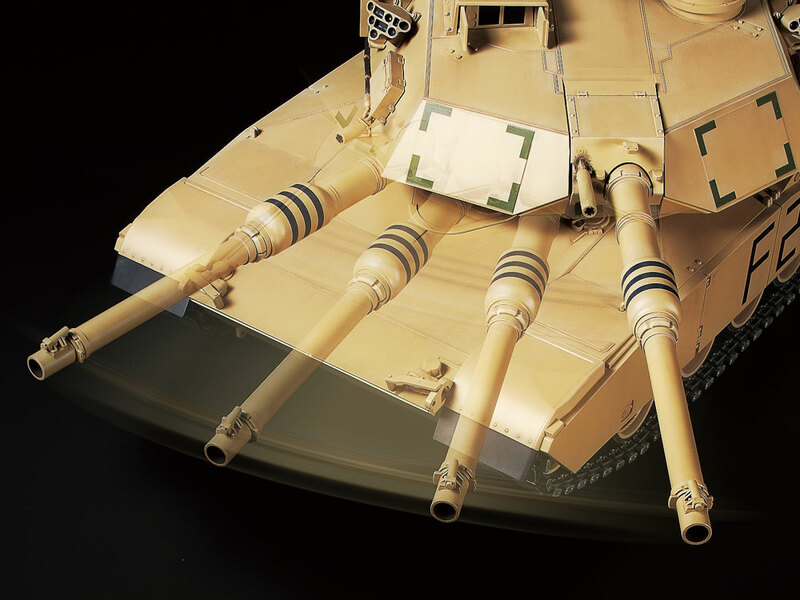 ★Offers a full range of movement, from forward and reverse to a variety of turns, plus turret rotation and gun elevation. ★Firing of the main gun is accompanied by realistic recoil and vehicle kickback. ★Authentic gas turbine engine and firing sounds are coordinated with model actions. ★A plethora of lights are recreated, and can be operated via transmitter. ★Gun barrel control system can be used to keep main gun trained in a direction set via transmitter. ★Compatible with separately sold Battle System. ★Length: 615mm, width: 231mm, height: 190mm. (includes M2 machine gun). Weight (approx. ): 5,030g. ★Dual speakers emit highly authentic sounds in time with model actions. ★Features Gun Barrel Control system. ★Includes Multi-Function Unit. 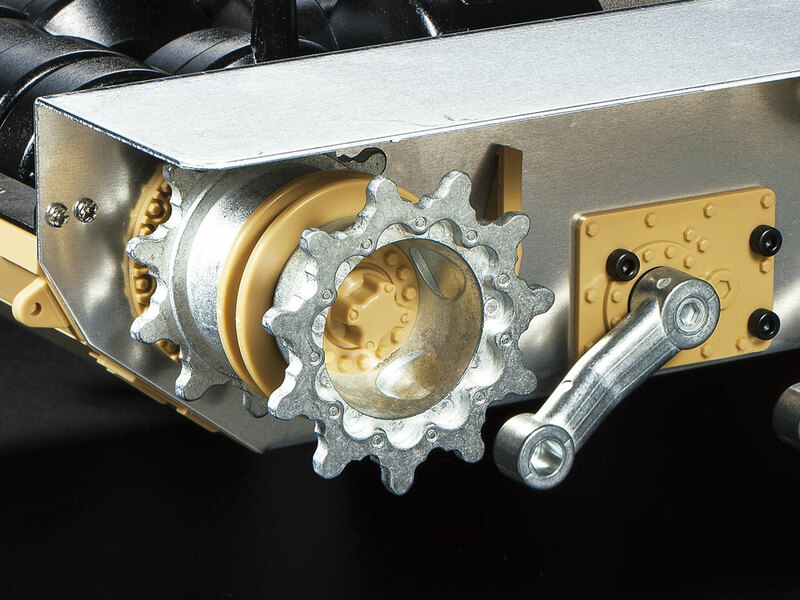 ★A dedicated servo controls gun barrel movement over a range from 5° depression to 15° of elevation. 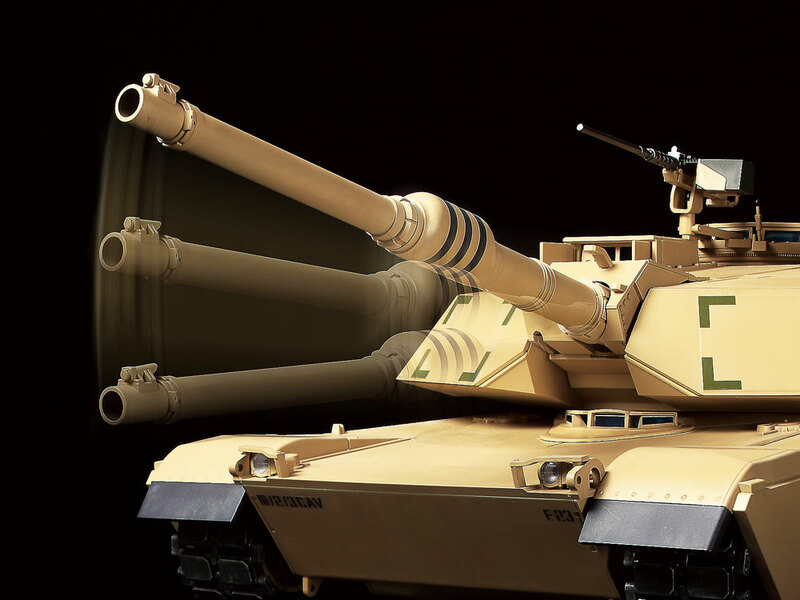 ★Gun motion, turret rotation and their speed are transmitter-controlled. Gun raises automatically to avoid hull rear. 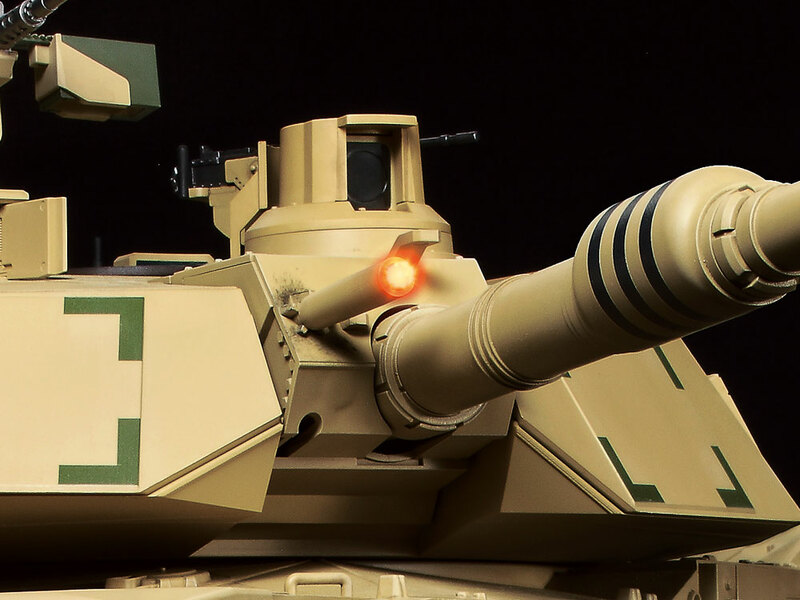 ★When firing, main gun roars and orange LED in muzzle flashes. Recoil and vehicle kickback occur. 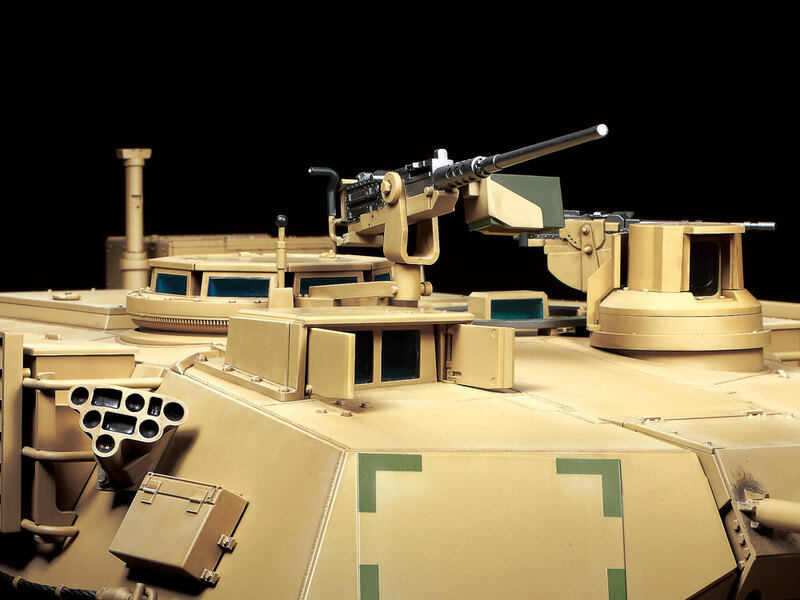 ★Turret features cupola-mounted M2 heavy machine gun, rangefinder, CITV, smoke dischargers and more. ★Continuous co-axial machine gun fire is commanded via transmitter, with an orange LED lighting up. 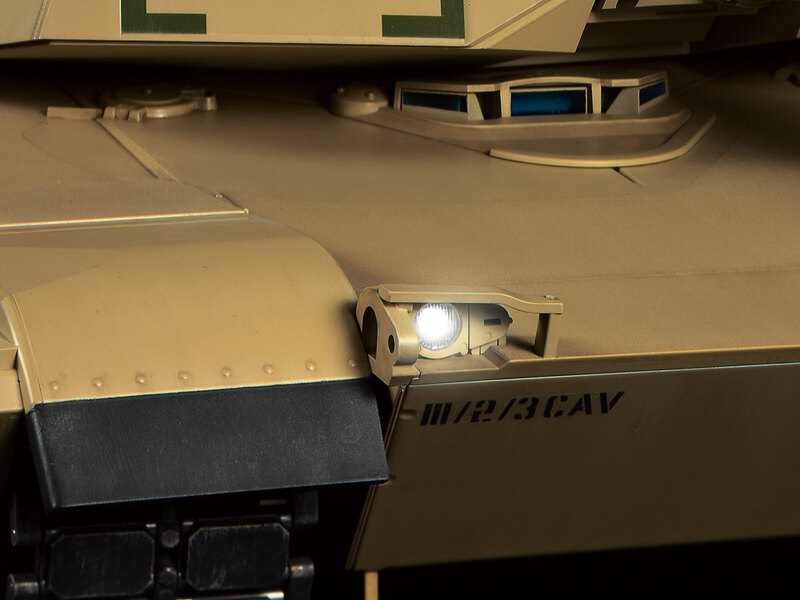 ★In addition to headlights, blackout lights are depicted with the use of white LEDs. 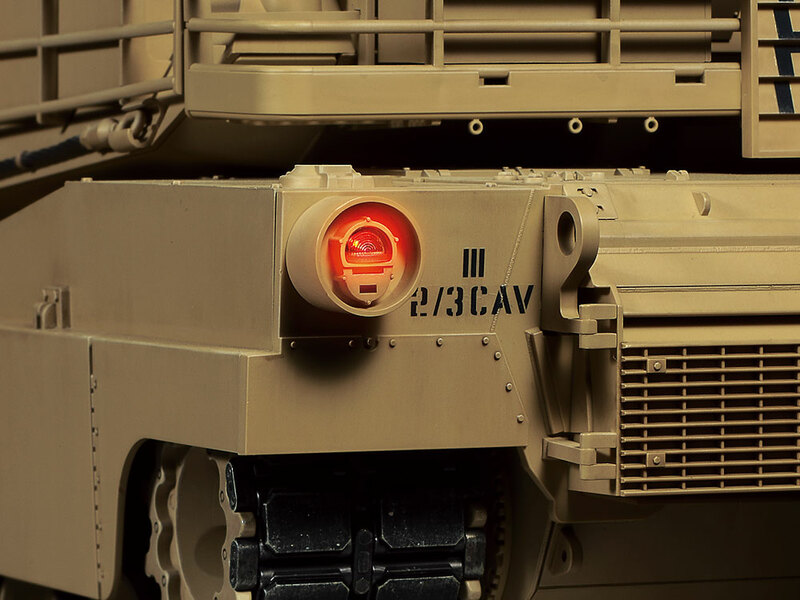 ★Taillight/brake light and slitted blackout light equivalent are contained in tubular housing. 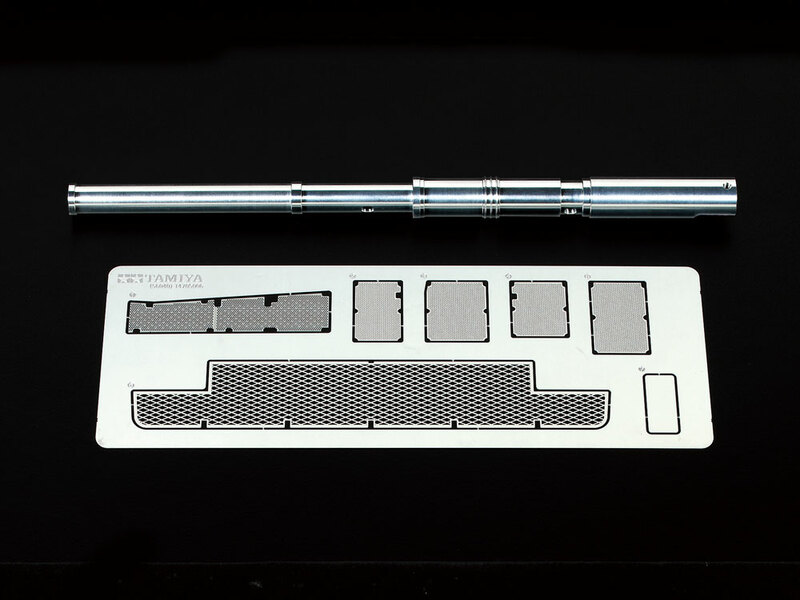 ★Supreme detail is provided by a precision aluminum gun barrel and a fret of photo-etched parts. 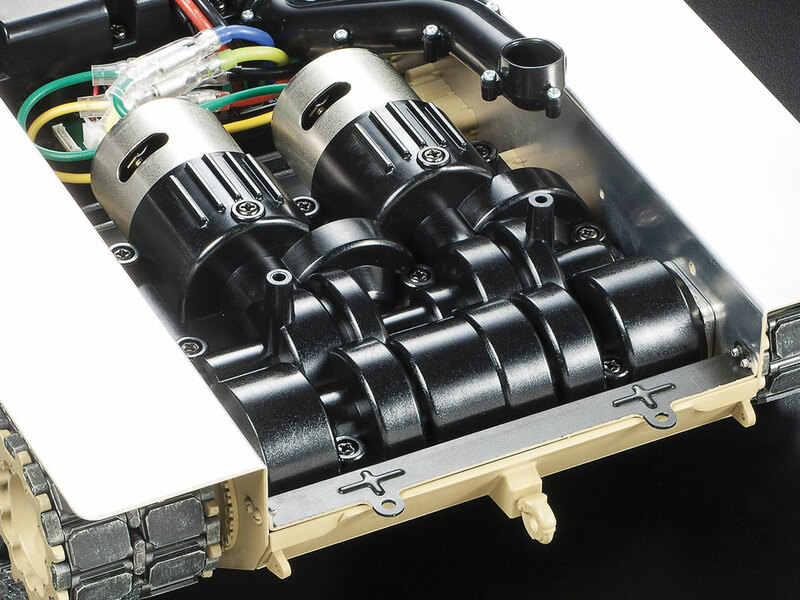 ★Rear mounted gearbox employs two type 540 motors providing sufficient power at any speed range. ★An extensive roster of metal parts: lower hull, drive sprockets, suspension arms and front arms. 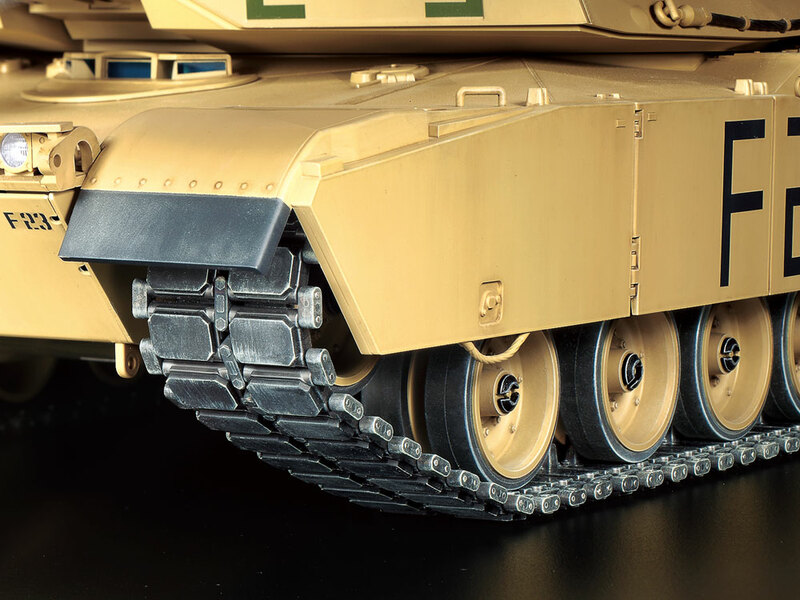 ★Pre-assembled resin tracks use metal pins and durable die-cast connectors, plus built-in rubber pads. ★Turret houses equipment such as turret rotation unit, recoil unit, gun elevation servo, and receiver. Tamiya has put incredible power and versatility of the German Tiger I in your fingertips with this 1/16 scale, fully functional R/C tank. Just some of.. Since Tamiya is behind this R/C M4 Sherman, authenticity in scale, body detailing, and working suspension goes without saying. Acoustic authenticity i.. Things just got realer. Starting with the 1/16 R/C sensation of the Tiger I Early Production, and then with the M4 Sherman 105mm Howitzer, Tamiya cont..
Tamiya continues to develop its 1/16 R/C Tank Series. The fourth full-option kit to make its appearance is the German Heavy Tank King Tiger. Not only ..
Tamiya's peerless 1/16 R/C Tank products are the ultimate in realistic indulgence, and with the German Tiger I and King Tiger already released, it is ..
【 Go on the Prowl 】　The German Jagdpanther is widely regarded as one of the best, if not the best, tank destroyers of WWII, and Tamiya's 1/16 R/C asse..
【 Just Like the Real Thing 】　This final variant of the German "War Horse" the Panzerkampfwagen IV Ausf.J. which served throughout the whole of WWII is..
【 The Russian Moving Fortress 】　Tamiya is proud to release the 1/16 scale R/C assembly kit of the Russian heavy tank KV-2 which terrified German..
During the 1960's, the Israeli Ordnance Corps upgraded their aging Sherman Tanks by equipping it with the powerful French 105mm CN-105-F1 tank gun. 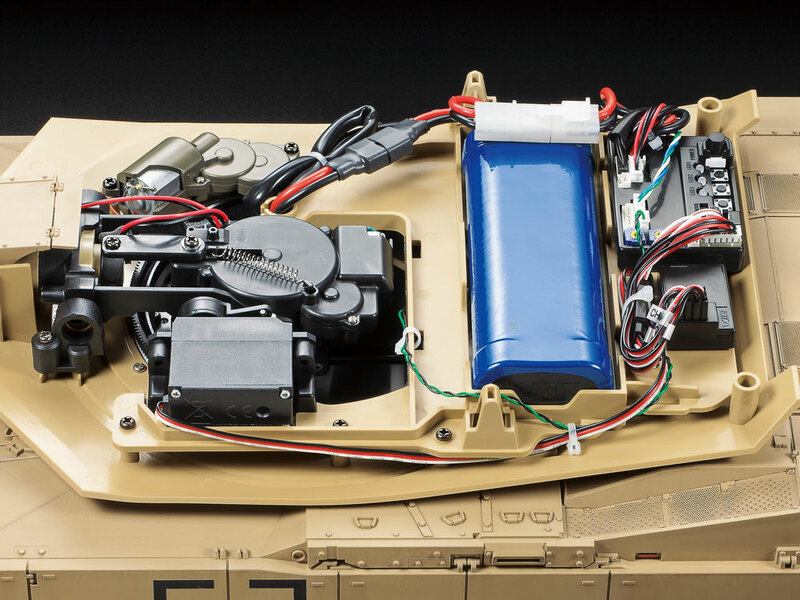 Th..
Guaranteed to be Your Type!This R/C model assembly kit recreates the Type 10 tank, which was officially approved in 2010 and reflects the latest milit..
At Your CommandThe M1 Abrams was formally adopted in 1980, and features highly recognizable flat surfaces and angular form, plus a powerful gas turbin..